Thousands of bicycle thefts reported to the police are not being investigated because officers believe they are unlikely to be solved. New figures have revealed that tens of thousands of bicycle thefts are ‘screened out’ as soon as the report has been filed, to save resources. One force revealed that it marked as many as nine in ten of such cases as ‘not for further investigation’. Those neglected include cases where the bike owner has already identified incriminating CCTV footage, or found adverts which offer the stolen bicycle for sale. Sajna Talukdar, a project manager at the Home Office, was one such victim. 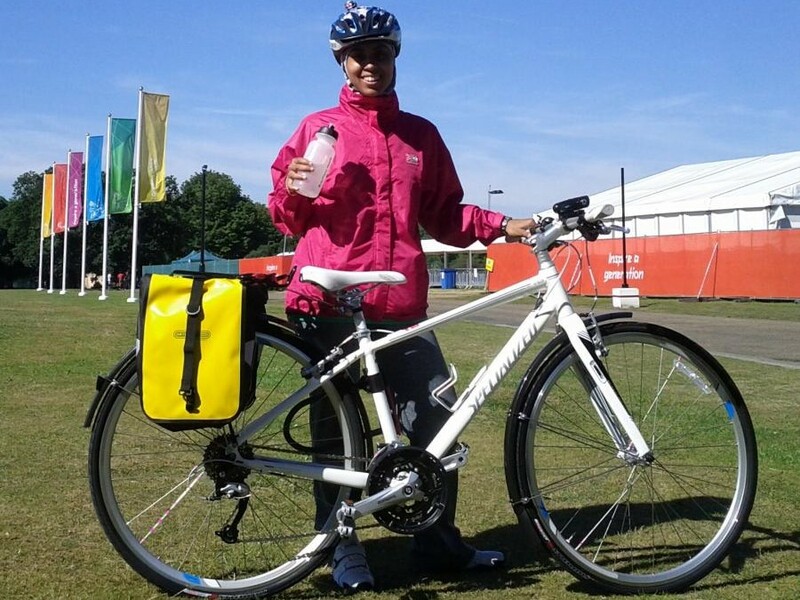 Her bike, which she had bought for a series of charity fundraising races, was stolen from outside her home in east London in April. She said: “I can’t express how distressing the experience has been, especially the police’s lack of action. “My bike was never investigated and even when I was able to locate the CCTV cameras for police to look through, the police did nothing. They have not called me back and nor has victim support contacted me. “Even the notes taken did not reflect the further details I gave about the monitoring device installed, the various markings/stickers on the bike and unique transfer marks from my red side wall and damage on one pedal.” She has since been forced to withdraw from several races. Figures released under the freedom of information act reveal Sajna’s experience to be far from unusual. Her local force, the Metropolitan Police, screened out 20,559 bicycle thefts – a whopping 88.9% of those reported – last year. More than half of 25 police forces surveyed admitted to operating a screening out or ‘triage’ policy, with bicycle theft and theft from motor vehicles among the most commonly neglected crimes. In total, more than 850,000 crimes are thought to be marked ‘not for further investigation’ after the initial report. Wiltshire Police admitted to filing away 194 reports of bicycle thefts, while Gloucestershire Police screened out 646 (52% of the total). In Hertfordshire that figure was 346. Among the forces that did not give a detailed breakdown were Avon and Somerset Police, which filed away 12,153 reports of theft or handling of stolen goods (28% of the total) and Warwickshire Police which screened out 5280 thefts. Victims of bike theft unwilling to give up the search have found assistance from a British website, Stolen Bikes UK. It was set up by John Moss, a university systems assistant from Leicester, after his house was burgled and his bike stolen. He said: “The police closed the investigation after one day. I quickly realised that if I was to stand any chance of getting the bike back I would have to put in some leg work and spread the word quickly. The website acts like a register of thefts, so that anyone considering the purchase of a second hand bike can check the model against a list of those reported missing. It helped John Paulson, a data architect at the Royal Bank of Scotland, recover his Specialized Langster single speed bicycle after it was stolen from outside his local sports centre in November. Despite passing on contact details for the man that had sold the stolen bike to the police, no further action was taken. Although many, like Sajna and John, have had poor experiences in working with the police after a bicycle theft, others have found support. The Metropolitan Police has set up a group called the ‘Cycle Task Force’ which specialises in tackling bicycle theft, and has seen some initial success. The task force will be running a number of preventative security marking events in London throughout May and June. But for tens of thousands of cyclists it is already too late. Their only hope is that sites like Stolen Bike UK will help reunite them with their beloved bicycles. Yes well it’s all down to lack of police time due to not enough police due to not enough money! This extends further than bikes, not all household thefts are investigated either, you generally just get a crime reference number. I think it might be a good idea if your data was graphically mapped. I saw a couple of adverts on your site but are there any manufactures making cheap high tech alarms / trackers that can be hidden inside the frame. Also thief’s could be tracked away from the theft using public traffic cams, there are 100’s of them in London. I like your site and idea, let’s bring it into the future and get more of those bikes back!